Fuel price hike Highlights: Petrol prices across the four metros have been increased by over Rs 3 per litre in the past 13 days, leading to a political slugfest. Continuing its upward trend on the 13th consecutive day since dynamic pricing system was resumed on May 14, petrol price on Saturday increased by 0.18 per cent (14 paise) to Rs 77.97 per litre against Fridays Rs 77.83 per litre in New Delhi and by 0.15 per cent (13 paise) Rs 85.78 per litre against Friday’s Rs 85.65 per litre in Mumbai. Similarly, diesel also costs Rs 68.9 per litre — 15 paise up from yesterday’s Rs 68.75 per litre in the national Capital. It saw a hike of 16 paise to Rs 73.36 per litre in Mumbai. Petrol prices across the four metros have been increased by over Rs 3 per litre in the past 13 days, leading to a political slugfest. Fuel prices in the domestic market are on the rise as the price of crude oil in global markets went up. Congress chief Rahul Gandhi on Thursday “challenged” Prime Minister Narendra Modi to reduce the price rise, warning of “nationwide agitation” unless done so. PM Modi had recently tweeted that he accepts a “fitness challenge” by cricketer Virat Kohli, who had challenged him. The challenge was first launched by Union Minister Rajyavardhan Singh Rathore. Noting that petrol and diesel prices are defined by international crude oil rates, the chief minister said the GST Council will also have to look into aspects like revenue losses before taking a decision. Amid a nationwide outrage over rising fuel prices, Maharashtra Chief Minister Devendra Fadnavis on Thursday pitched for bringing petrol and diesel under the purview of GST, saying it would ensure reduction of rates. "When crude oil prices in the international market was quite high, the price of petrol in the country was Rs 65-68 per liter during the UPA government's rule. But now crude oil prices have remained comparatively low yet prices skyrocketed in the NDA dispensation," Pande said. He urged the government to reduce taxes to bring down the fuel prices. Avinash Pande, AICC general-secretary in-charge of Rajasthan, said the increasing fuel prices have badly hit the common man but the government is doing nothing to address the issue. Pilot said state governments can provide relief by cutting the Value Added Tax (VAT) and cess levied on fuel prices. He said people annoyed with the increasing fuel prices will give a befitting reply to the government in upcoming polls. "Someone is doing push-ups and someone is showing fitness (in other ways) but fuel prices are rising," Congress leader Sachin Pilot told reporters in Jaipur. His comments came after Union ministers Rajyavardhan Singh Rathore and Kiren Rijiju posted videos on social media as part of a 'fitness challenge', which has also been accepted by Prime Minister Narendra Modi among others. The Congress said today that the government should rollback the increase in fuel prices instead of "showing fitness", apparently referring to Union ministers and BJP leaders posting videos of their workouts on social media. 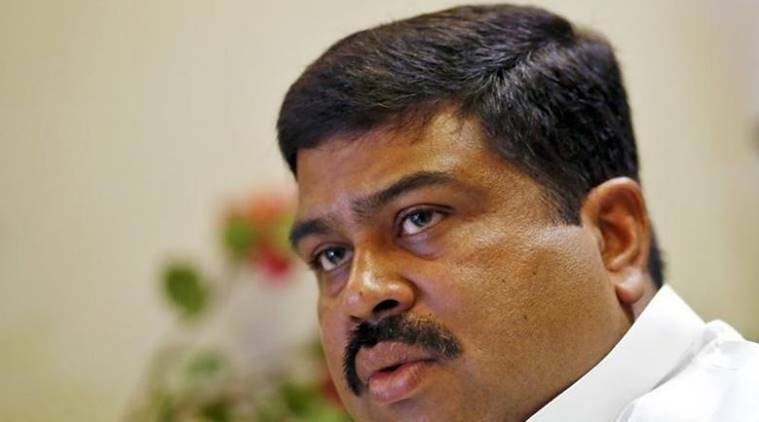 Fuel price hike LIVE: Union Petroleum and Natural Gas Minister Dharmendra Pradhan. Fuel price hike LIVE: Amid mounting pressure from the Opposition parties on the relentless fuel price hike, Union Minister Dharmendra Pradhan on Thursday said that bringing fuel under the GST regime would be one way to ease the situation. “The value of Indian rupee has reduced in comparison to the dollar and there has been a surge in oil prices. We are trying to control prices. GST is one way to ease the situation, other ways also being thought of," he said. However, Union Minister Nitin Gadkari had on Wednesday said subsidising petrol and diesel to bring down their rising retail prices will take money away from social welfare schemes of the government and that increase in oil prices is “unavoidable” since India is now linked to the global economy. “This is an unavoidable, economic situation. It is directly linked to the global economy. If we have to sell it (petrol/diesel) cheap, it means we will have to buy it at higher prices and subsidise it here,” Gadkari had told The Indian Express.